At the westernmost end of the Caribbean, Cancun stands as a very popular exotic attraction, mostly known for its luxury hotels, paradise beaches, and of course, ancient ruins. While the contrast between the city itself and the seaside teeming with tourist resorts and complexes has secured a rather commercial image for Cancun, you shouldn’t be deceived if you’re the exploring type. Quintana Roo has the richest history of all Mexican states, sprinkled with countless ruins and edifices that tell the story of great ancient Western civilizations – the Maya. 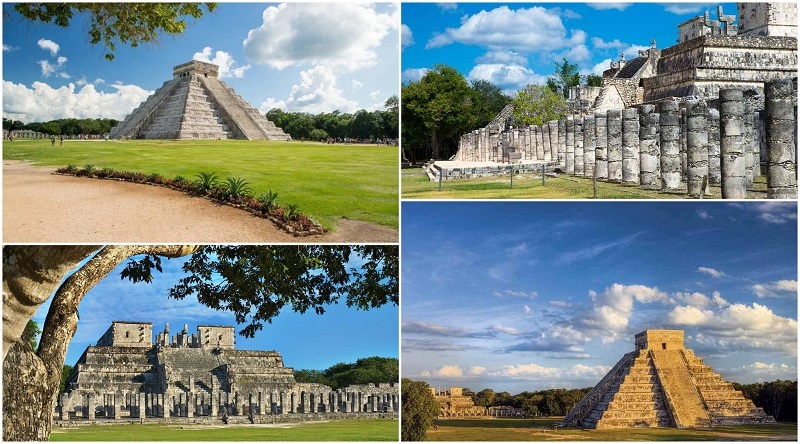 While Northern and Central Mexico were inhabited by the Aztec, and Central America by the Inca, the Yucatan peninsula is covered by the traces of the best astronomers of old, making the entrance into the Mayan world; and given the number of these ruins, a list of the best sites to visit would be in order. Here are 8 ruins near Cancun you should visit on your next trip. 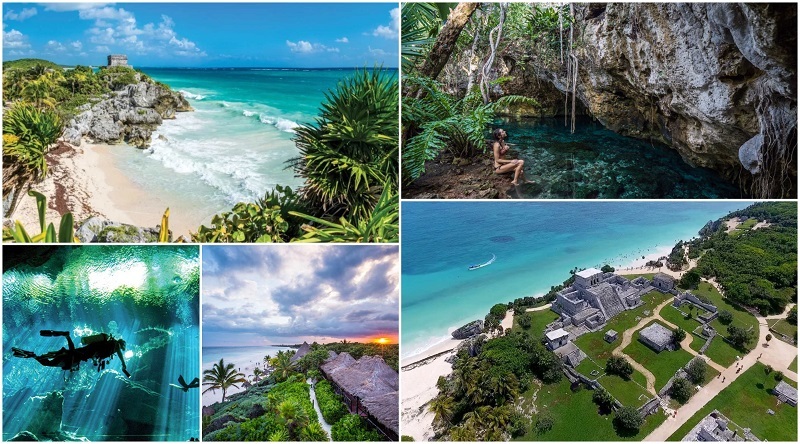 The town of Tulum became popular because of the Mayan ruins in its proximity, and what makes them different from the other ruins – except the stunning exotic scenery, being built on a promontory facing the sunrise – is that they are among the best preserved. The city thrived because of its position to the sea and aside the picturesque views you can go down the beach after the visit for a swim in the Caribbean riviera. It is best to go in the morning before it gets crowded, and if you like souvenirs, the nearby kiosks have some very exquisite pieces of art – be prepared to negotiate. Located right at the heart of the hotel area, on the Kukulkan boulevard which crosses the strip of land around the Nichupte lagoon, El Rey is another abandoned Mayan city, the ruins of which count 47 structures including a temple and a burial site. While the entombed figure is unknown (though the name of the site, meaning The King comes from its presumed royal importance), the murals will let you delve back into the ancient community and give you a better idea of their society. This combo package includes Parque Maya admission, Mayan Museum, El Rey Ruins, and city tour. This is a good option for families with kids. 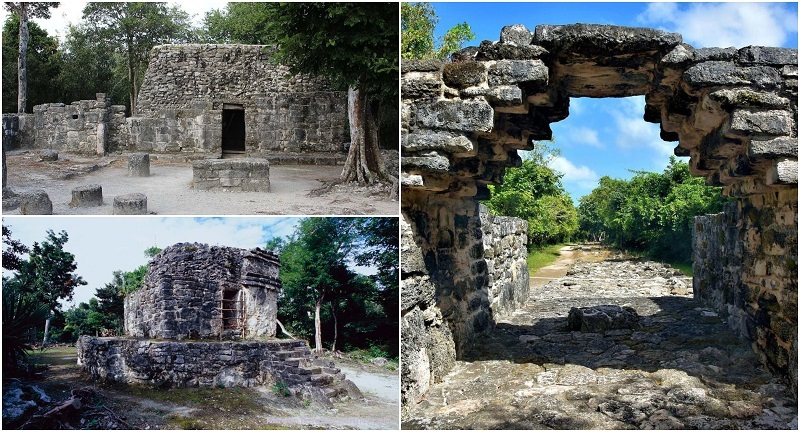 Situated on the lush island of Cozumel, the ruins of San Gervasio hide a particularly long history for Mayan ruins. 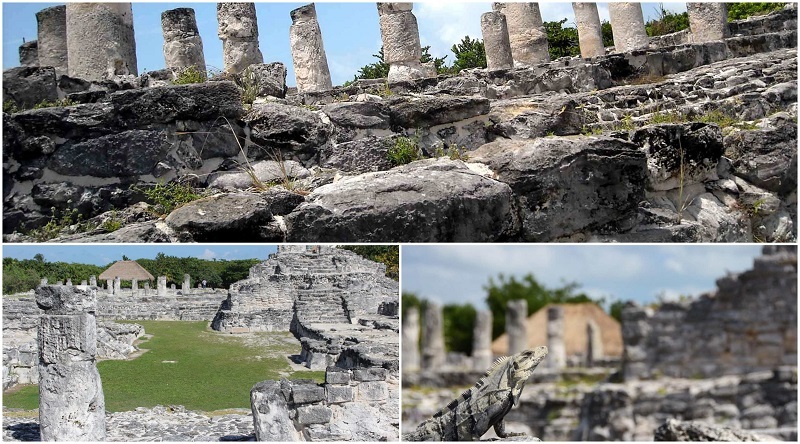 What makes San Gervasio unique is the intact preservation due to the lack of restoration on the site, and the local iguana population along with the jungle surroundings, which gives the area a very authentic atmosphere similar to the old Maya society. 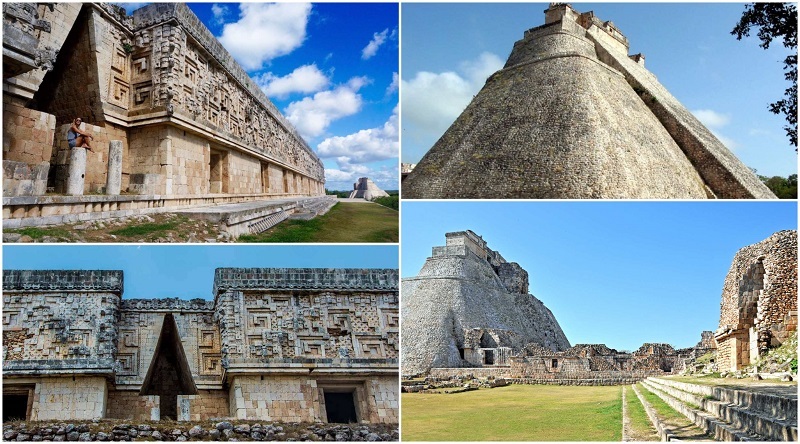 This architectural site is home to the tallest pyramid in the Yucatan Peninsula. The site is rich in exotic vegetation, colorful birds and scurrying iguanas, making it a very pleasant exploration site by foot or on rented bikes. If you’re fit enough, walking would take about 3 hours while a casual ride on a bike would take approximately 1.5 hours. 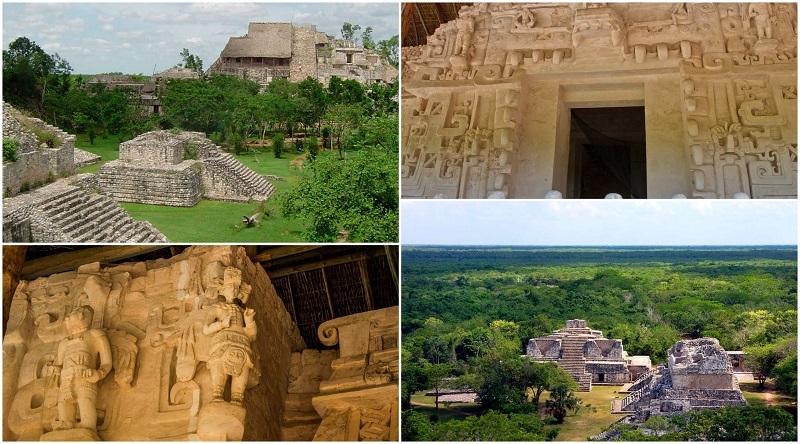 The newest discovered ruins in Yucatan, Ek Balam (“black jaguar”) is located near Valladolid and its architectural style makes this site truly different from the rest. 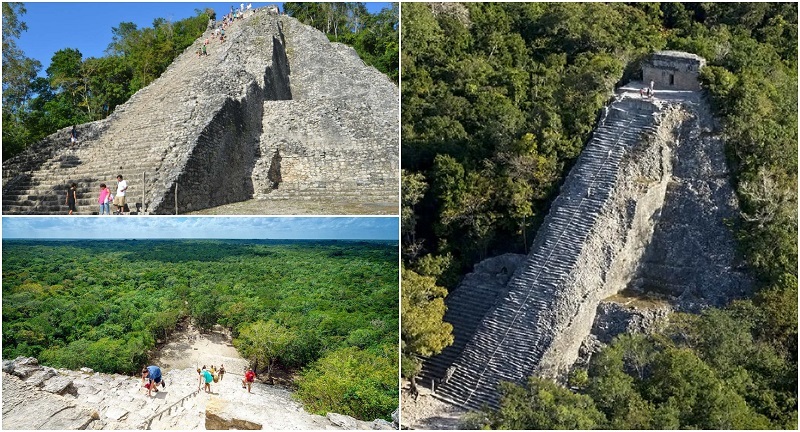 The main buildings are located in the South and Central Plazas, which can be seen by the sacbes (limestone roads) leading to them in the same fashion as in Coba, matching the directions of the cardinal points. Uxmal was another important Mayan city, housing more than 20,000 people. Not as crowded as other ruin sites, Uxmal has an eerie feeling in the air, perhaps due to the famous Magician’s pyramid. This ruin features a combination of jungle shade, spacial surroundings, and nearby accommodation, making it a good choice for travellers after some peace and quiet. Deemed one of the 7 wonders of the new world and made popular by the most iconic pyramid image in the whole Latin America, no journey would be complete without visiting Chichen Itza. The best preserved Mayan complex, Chichen Itza stands testimony to the genius of the ancient civilization, particularly regarding their astronomical advancement, as the main pyramid is in fact a huge clock and calendar. This place has nothing to do with ancient Maya civilization, but it is no doubt occupied by the most beautiful ruins in Mexico: the coral reef statues of the Underwater Museum. 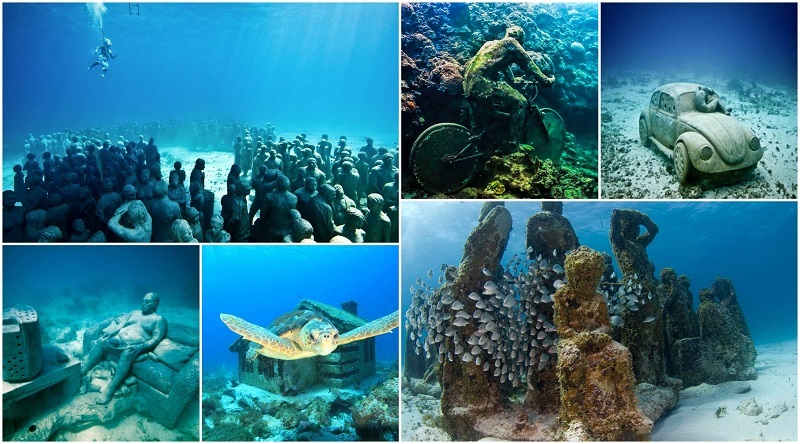 The site comprises of over 500 PH-neutral sculptures depicting human figures, still life and structures, placed upon the bottom of the ocean at the initiative of Jason deCaires Taylor in an attempt to rebuild the coral reef in an artful manner. The museum can be visited either by scuba diving, or with a glass-bottom boat tour. Of course, there are many other cultural and historical attractions in Cancun, but if you want to see well preserved ruins and learn about the Mayan past, Cancun is the place to be.